A music and medicine team, inclusive of music therapists and a doctor and nurse will lead experiential, hands-on training to meet Tier I competency for this international, evidence-based, Neonatal Intensive Care Unit training inclusive of three prongs: environmental music therapy, trauma training in music psychotherapy with care givers, and evidence-based live music therapy interventions for premature infants. Attendees receive a certificate indicating their completion of Tier I of the First Sounds: RBL Training. Who can attend the training course? The course is open for music therapists and other health professionals such as medical doctors, nurses, etc., as well as for students. Attendees will design live music applications of the trans-natal environment focused on rhythm, timbre and tonal inter-uterine elements to foster comfort, stability, nurturance, safety, increasing opportunities for entrainment and self-regulation for the premature infant. Attendees will demonstrate knowledge and application of the First Sounds model-contingent singing, and evaluation of applicative sounds & music to increase respiratory, sleep, feeding and quiet-alert opportunities with proficiency. Attendees will demonstrate and develop the blanket of sound applications: tonal-vocal holding, with competence to develop lullabies catered to address the developmental, physical, emotional and cultural needs of the infant & family-including the evaluation of the caregivers' level of trauma in order to identify music anchors whereby families of Neonatal Intensive Care Unit infants will entrust music therapy support to enhance the caregiver-infant bonding process. Attendees will explicate, through trauma amelioration theory, music's process in Environmental Music Therapy, providing a tangible means of coping where professional & personal caregivers can connect to infants through song of kin. 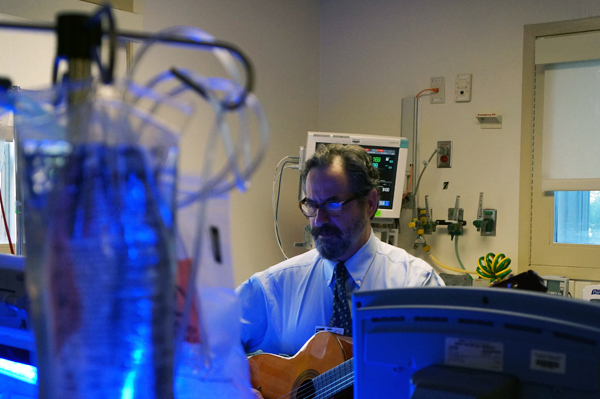 Live music interventions, modulating noise, where the family's music can be honored will support the infant-caregiver bonds, through kangaroo care, touch and subsequent attachment inclusive of insights into theory, clinical practice and evidence of creative music therapy with premature infants and their parents. CA, LCAT, MT-BC, Director, The Louis Armstrong Center for Music & Medicine, Associate Professor, Icahn School of Medicine, Mount Sinai. Co-Editor in Chief of ‘Music & Medicine’, a founding member of the International Association for Music and Medicine. 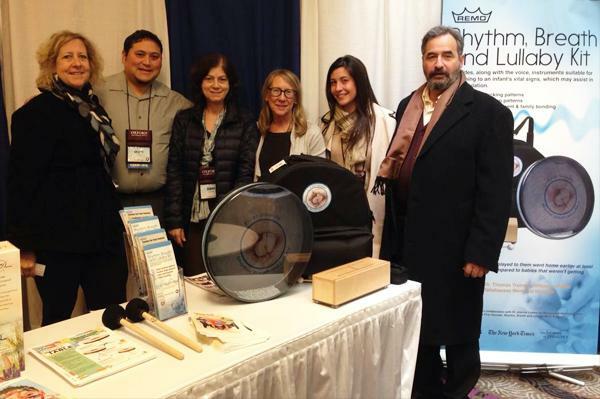 Instituted the First Sounds-Rhythm, Breath and Lullaby international training. PhD, DMtG, SFMT is a post-doc research fellow and clinical music therapist at the Clinic of Neonatology, University Hospital Zurich and University Hospital Bern, Switzerland. She is a lecturer at various Universities, runs the certified NICU-training for German speaking countries and has published various articles and book chapters. MD, Associate Director, Division of Newborn Medicine, Department of Pediatrics, Mount Sinai Beth Israel Medical Center. 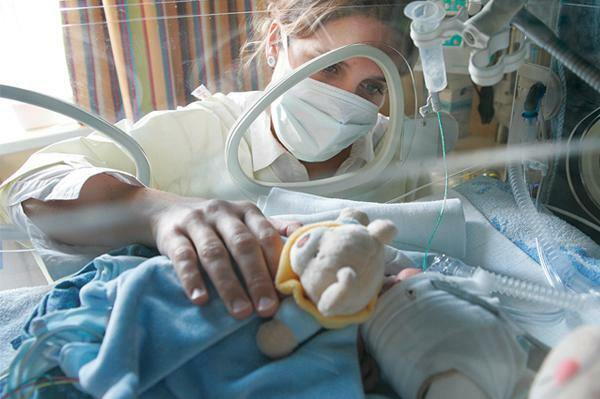 For 20+ years, she has been applying integrative medical therapies into NICU practice. She served on the original team that integrated music therapy into the NICU at Mount Sinai Beth Israel. RN, FNP, MSN, Nurse Practitioner, Neonatal Intensive Care Unit, at Mount Sinai Beth Israel, where she started 22 years ago. She is a life-long advocate for music therapy. She has been on the faculty at Bloomfield College and has taught in their BSN nursing program. Please book your place by sending an email to Katharina Pfeiffer: pfeiffer-k@mdw.ac.at. Registration closes May 30, 2016. After you have received confirmation of your registration, please pay by bank transfer using the details provided. If the maximum number of participants is reached, a waiting list will be established. Cancellations before May 30, 2016 will receive a 50% refund of the registration fee. Cancellations after this date cannot be refunded, but you can nominate another person who can take your place. If the minimum number of participants has not been reached by the end of registration, or in case presenters cannot conduct the training course for any reason, we reserve the right to cancel the training course; paid registration fees will then be refunded in total. For any kind of questions related to this training course, please contact Katharina Pfeiffer: pfeiffer-k@mdw.ac.at.